In the aftermath of a multiyear investigation, two Virginia Beach men were sentenced for illegally selling cocaine and firearms, as reported by The Virginian-Pilot. According to authorities, the two men first sold cocaine to a confidential police source from a grocery store park lot in 2014. The men sold the cocaine at a rate of approximately $1,000 per ounce to the confidential source. Furthermore, the men provided guidance to the confidential source on resale and markup. 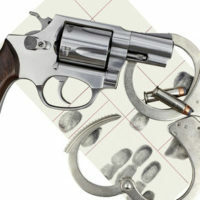 In the most recent transgression, the Virginia Beach men conducted a $5,000 sale with the confidential source, providing two ounces of cocaine, five firearms, extended magazines and a silencer. Both Virginia Beach men argued for leniency in sentencing, pointing to relatively clean criminal records. But the prosecuting attorney argued against a lenient sentence, highlighting that both men occupied well-paying jobs. As a result, the prosecuting attorney argued that the decision to conduct illegal sales of drugs and firearms was one of greed, not necessity. The judge sided with the prosecuting attorney and applied the higher end of the sentencing spectrum. One man received a 10-year sentence for the illegal sale of drugs and firearms. The other man received a 2.5-year sentence for the illegal sale of drugs. Considering the impact of this news story, it feels like a great time to review Virginia laws concerning the sale of illegal drugs, often referred to as drug trafficking. What is the Virginia Legal Approach to Drug Trafficking? It is important to note that Virginia relies on the federal definition of illegal drugs from Schedules I and II of the Controlled Substances Act. Schedule I/II drugs include cocaine, heroin, marijuana, methamphetamine and other dangerously abusive substances. That being said, we can find the definition of drug trafficking in Code of Virginia section 18.2-248. Under Section 18.2-248, it is illegal in Virginia to manufacture, sell or distribute Schedule I/II substances. It is also a crime to possess Schedule I/II substances with the intent to manufacture, sell or distribute. A conviction for drug trafficking in Virginia carries harsh penalties, even on the first offense or for smaller quantities. The first conviction for drug trafficking can result in up to 40 years in prison and $500,000 in fines. The second conviction results in a minimum of five years and a maximum of life in prison. If you have questions about drug or firearm crimes or other criminal charges, please do not hesitate to contact Simms Showers LLP as soon as possible to start planning your defense. Our talented Virginia attorneys are eager to assist you today.